Feast of St. Finn Barr Festival! 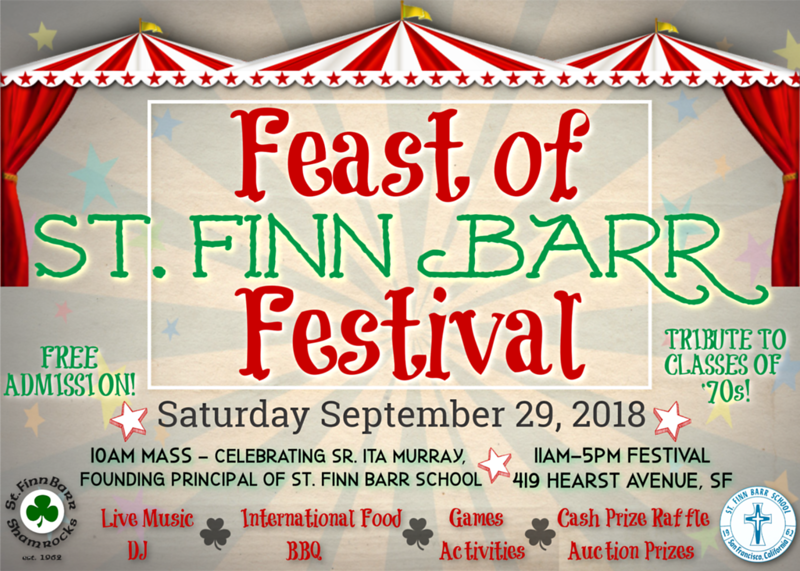 Bring your family and friends to the annual Feast of St. Finn Barr Festival on Saturday, September 29th! The day begins with Mass at 10AM. Sign up for donations here. To volunteer please sign up here. Order your tickets early to avoid waiting in line! Pre-Order Form is attached below. Please send to the attention of Eric Klosterman, no later than Friday September 21, 2018. Tickets will be sent home with oldest child on Tuesday, September 25, 2018.